"The goal of AOCC is to improve the productivity and sustainability of highly nutritious crops that are critical to the health and livelihood of African farmers and consumers through the adoption of modern breeding methods," Howard-Yana Shapiro, Chief Agricultural Officer, Mars, Incorporated. "The user-friendly interface and predictive power of Benson Hill's Breed application, powered by its CropOS platform, will accelerate the ability of African scientists to develop better seeds and improve the diets of Africa's children," Allen Van Deynze, Director of Research, Seed Biotechnology Center, University of California, Davis and Scientific Director of the African Orphan Crops Consortium. Though there are over 30,000 edible plant species on the planet, two-thirds of global calories are derived from just five crops, which have received the majority of R&D attention. The African-led AOCC is sequencing the genomes of 101 highly nutritious crops at the heart of cultures across the continent that are staples to 250 million smallholder farmers. Established by the New Partnership for Africa's Development (NEPAD), Mars, Incorporated, World Agroforestry and UC Davis in 2011, the consortium makes the genetic information about these crops publicly available free to use by anyone without patents or restrictions. The AOCC is also training 150 of Africa's plant breeders in the latest strategies in plant breeding, statistics and quantitative genetics including application of genomics in crop development. 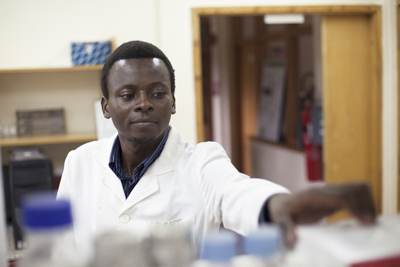 "Training local scientists to translate the genomic information into tangible benefits for farmers and consumers is a key component of the project," said Rita Mumm, Director of the African Plant Breeding Academy developed and operated by UC Davis. "Benson Hill's computational platform will ensure the 150 African plant breeders we are training can access the most advanced technologies and scientific knowledge available to support critical decisions for crop improvement." Benson Hill's CropOS revolutionary crop design platform combines the most advanced data analytics and biological knowledge with cloud-based computing to empower organizations to develop food and ingredients with better flavor, nutrition and environmental sustainability. CropOS uses Artificial Intelligence to improve with every data set, enhancing the platform's ability to predict biological outcomes and accelerate product development. "The African Orphan Crops Consortium empowers local scientists to leverage the natural genetic diversity of plants to improve food production, an objective that fits squarely with our vision and purpose," said Matt Crisp, CEO and co-founder of Benson Hill Biosystems. "We are thrilled to partner with local and international organizations that respect the role food plays in the health of people, our planet and in the celebration of culture."